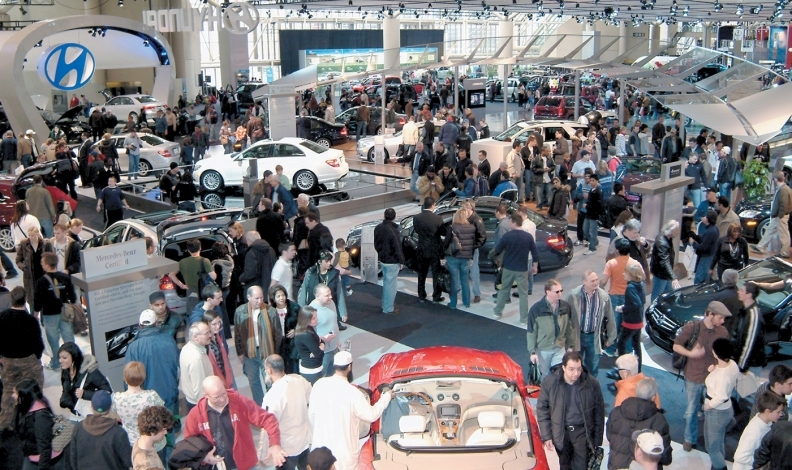 CIAS packs in the crowds on the weekends, but there's plenty of room for growth in attendance earlier in the week. TORONTO — It's called the Canadian International AutoShow (CIAS), and has a long history of success, but the "International" part is still a work in progress. The show's brain trust would like the CIAS to achieve a standing similar to the major shows in places such as Detroit, Mich., New York, N.Y., and Paris, France, and to have all the trappings those shows engender, such as notable worldwide product and concept debuts, appearances by high-profile industry personalities and executives, and a high level of international media attendance and coverage. "It's still our ambition," says Jason Campbell, general manager of the CIAS. Held in Toronto in mid-February, the show follows events in Detroit and Montréal, and precedes Geneva, Switzerland, on the international show calendar. It also often has overlapping days with the Chicago, Ill., show. Competition is stiff for the star cars. "We know there are a limited number of these cars, globally, and they have to be shared around many different auto shows," says Campbell. "Our goal is to get the manufacturers to choose Toronto and display them here, where perhaps their voice can stand out more than it might at a [more debut-crowded] tier one show." One thing Toronto can deliver for certain, however, is body count. The city has a population of 2.79 million, making it North America's fourth largest, behind Mexico City, New York and Los Angeles, Calif. And, according to Statistics Canada, Toronto and the metropolitan area around it, are now home to more than six million people. This fact has not been lost on the manufacturers, says Campbell. Every automaker in the Canadian market participates in the show, including Telsa and Jaguar Land Rover, both of which took passes at the 2015 Detroit show. Campbell also notes that many automakers bring their elaborate "tier one" displays to the Toronto show. But the CIAS conundrum is that even with all that population clout, the overall Canadian market is relatively small, currently about 1.8 million units a year. With so many other global markets that are bigger, or have the capacity to be bigger, they are more apt to receive an automaker's show love than Canada. 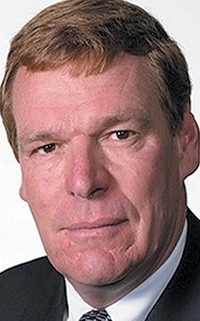 Bob Verwey says that show attendance drives car sales. "The paying customers need to see a good product, and by product we're not just talking about cars." The way he sees it, the CIAS has two paying customers: the manufacturers; and the public. "We need to satisfy both." If the "show product" is good, the people will come, and if the people come, the manufacturers will be happy, says Verwey. "If we drive more people to the show, the chances are better we can sell more cars, so that's the goal ...to raise our attendance by 50,000, 70,000, 100,000 people." In 2015, the show brought in 314,000 paying customers, which represents about a five percent increase over 2014. To get bigger year-over-year lifts, the CIAS will embark on a strategy to get more people through the doors of the Metro Toronto Convention Centre during weekdays. "We jam over 50,000 people through the doors on every Saturday and Sunday," says Campbell. "We really can't take any more. So our challenge is how do we spread that audience to the midweek period." Ferwey says the show's board is looking at various ways of doing that, such as getting the show included in travel packages, similar to how music theatre and other attractions are packaged to out-oftown tourists. The other part of the puzzle is to keep the show fresh, so customers see cars and concepts and displays they haven't seen before, so they keep coming year after year.